In a press conference in Boston today, US Attorney General Jeff Sessions announced that a federal sting operation resulted in the arrest of more than two dozen people on charges of immigration document and benefit fraud. 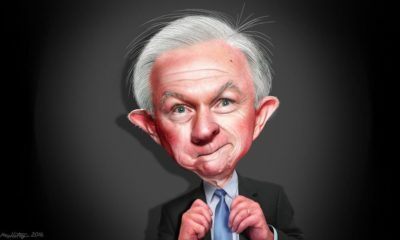 But while the focus of the presser was on alleged immigration fraud, reporters took the opportunity to question Sessions about the Department of Justice’s stance on states with legal marijuana. Massachusetts, of course, legalized marijuana for adult use in November 2016. Sessions replied by reiterating his position that the US DOJ would continue to follow and enforce the federal ban on cannabis. Voters in Massachusetts legalized adult-use cannabis nearly two years ago. And while home cultivation and gifting cannabis are now legal, the state has yet to set up its retail industry. But it’s close, and with the licensing process currently underway and the first retail permits already issued, the federal government’s stance on states’ marijuana laws is clearly crucial for Massachusetts at this particular juncture. In response to reporters’ questions about that stance, Sessions stopped short of announcing that the Department of Justice had any enforcement actions in the works. Instead, Sessions renewed the same kind of vague threats he issued in January of this year, when the DOJ rescinded the Obama-era Cole Memo, essentially a “hands off” policy toward states with legal cannabis programs. “States have a right to set their own laws and will do so, and we will follow the federal law,” Sessions said. But the exact sense of “follow” wasn’t specified. 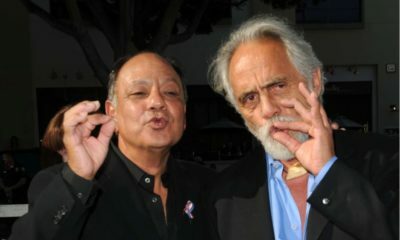 All Sessions added was that it was his personal view that “the American republic will not be better if there are marijuana sales on every street corner”. It’s hard to imagine dispensaries achieving Starbucks-like density, however, especially in Massachusetts. In fact, most of Massachusetts’ municipalities have banned marijuana retail. Despite the Attorney General’s obstinacy on the legal marijuana issue, state regulators in Massachusetts aren’t concerned about any looming enforcement actions once the state’s retail sales come online. Even the chairperson of the Cannabis Control Commission, Steve Hoffman, says Massachusetts’ program doesn’t have anything to fear from Sessions’ comments. Hoffman’s confidence stems from a statement by federal attorney Andrew Lelling. Lelling is a prosecutor who reports directly to Attorney General Sessions. And two weeks ago, Lelling issued a statement that, from Hoffman’s view, sounded a lot like the Cole Memo guidance issued by Obama’s DOJ. According to Lelling, federal prosecutors are prioritizing three areas of marijuana law enforcement. First, ensuring legal cannabis surpluses aren’t diverted to illegal markets. Second, targeting operators who distribute cannabis to minors. And finally, hunting down criminal organizations that traffic cannabis across state lines. Hoffman says Massachusetts regulators are already building in ways to address the Department of Justice’s major concerns. He believes that will be enough to keep Massachusetts out of Sessions’ drug-war crosshairs.